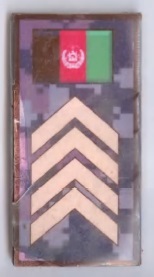 Please see some Afghanistan National Security Forces (ANSF) patches from my collection. 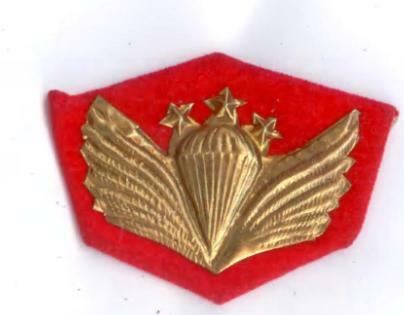 ANA E-7 (Parak Meshar) Rank. Interesting one - color print on carton and covered with plastic. pretty rare items you've got, especially since they've been used in the field. Great patches; thanks for sharing them! Lots of variations for Afghan patches these days. great patches! Very nice example of the rank patch! I'd like to say that E-7 rank looks more like ANP rank. The camo looks like the ANP camo. This is indeed an insignia for the ANA 203d Corps. The hot link below will take you to a thread were several other variations of this insignia are detailed.